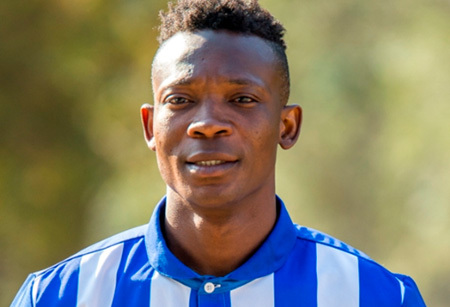 Maritzburg United’s Ghana international John Paintsil is determined to help the Team of Chocie to victory in his first ever KZN derby. United take on AmaZulu at the Harry Gwala Stadium on Friday night in an Absa Premiership encounter. There can be no denying that on paper – on recent form this season, the PM side will be favourites on their home turf against an Usuthu team propping up the standings. But being desperate to find improved form under new coach Steve Barker, together with the derby factor thrown in, will make AmaZulu a much tougher proposition. Paintsil is relishing the chance to play in his first Absa Premiership derby, but cautions against taking Usuthu lightly. "The team started very well during the first 10 league games, but we have lost a few games, which is normal in football. Our aim of qualifying for the Champions League is still on and we want to make amends by beating AmaZulu on Friday," Paintsil told the Football411 website. "It is always difficult to play against a team that is in the relegation zone, they will give their all because they know their position is not all that good. That makes this game very difficult for us, but we will rise to the occasion come Friday. "The good news for me personally is that this is going to be my first derby game against AmaZulu and I really want to be part of it. "I have heard a lot about the derby and I personally feel that am ready for the game… I think I am mentally and physically prepared for the derby." Following the Amazulu game, the Team of Choice will host Mamelodi Sundowns and as an incentive to lure as many supporters as possible to the KZN Derby vs Amazulu, the first 2000 people who buy tickets for the Sundowns game on the 16th of December 2014, will get a free ticket to watch the Amazulu game. This incentive is only applicable if you buy the Sundowns match ticket at the Club Offices, 397 Victoria Rd, or at the Tourism Hub next to City Hall. Many football fans in KZN are looking forward to the derby on Friday night between Maritzburg United and Amazulu. Kick off at 20h00 at the Harry Gwala Stadium.